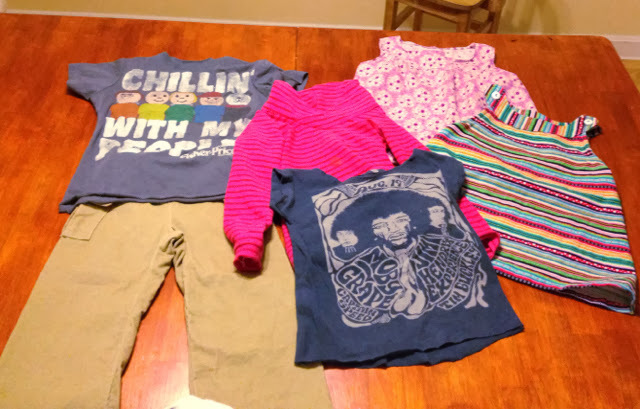 There's still two more days of Kids Clothes Week, but here's what I've gotten finished so far. 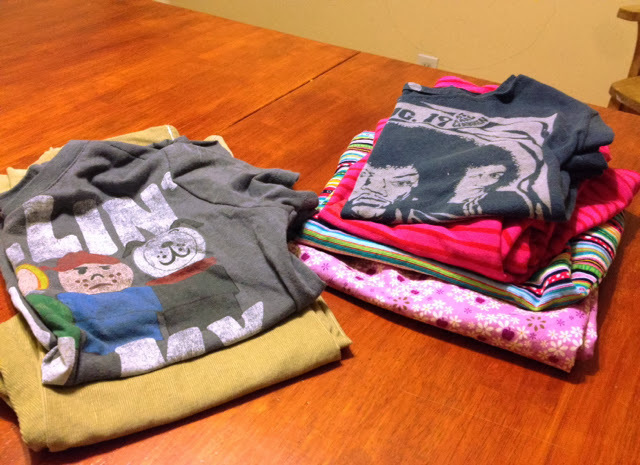 There's two t-shirts, a Bimaa sweatshirt, two jumpers, and a pair of Parsley Pants. I have two more pairs of Parsley pants cut out and ready to sew later today. And I found a great sparkly knit that would be perfect for another Bimaa. I might try the cowl neckline if I have enough fabric.